That's a good-looking Pulao there, Manisha. How did you make it? I can see some broccoli in it too. Hiiiiiiii Manisha! Some very delicate looking pulao there! But I've NEVER tried broccoli in my pulao. Must! Tell me, what else went into it? Vaishali, it's a very simple and plain pulao. Yes, there is broccoli. It's best made with fresh veggies and I use whatever veggies I have on hand. You could use frozen veggies, too; in which case, reduce the amount of water by about 1/4 to 1/2 cup. Shyama, try it with broccoli. I didn't even think about it - saw the broccoli, threw it in! Hey, menu today! Thanks and welcome to IFR! What, Pulao with no peas??!!! Does not happen in India. Pulao with a tablespoon of Vinegar?? Not really necessary. Indian households do not have vinegar in their kitchens. Usually lemon juice is used. Have you heard of the dreamy beautiful state of Goa? It is part of India and vinegar is used as a base for many Goan curries. Prawn Balchao is one of my all-time favorites. Vinegar is a personal preference over lemon juice when it comes to pulao. If I have pickled jalapeños, I use vinegar from that jar as it adds a hint of jalapeño to the simple flavors of the pulao. Please make your pulao with less oil if it works for you. 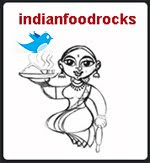 I have played with using as little as a few tablespoons to 3/4 cup for upto 4 cups of rice. 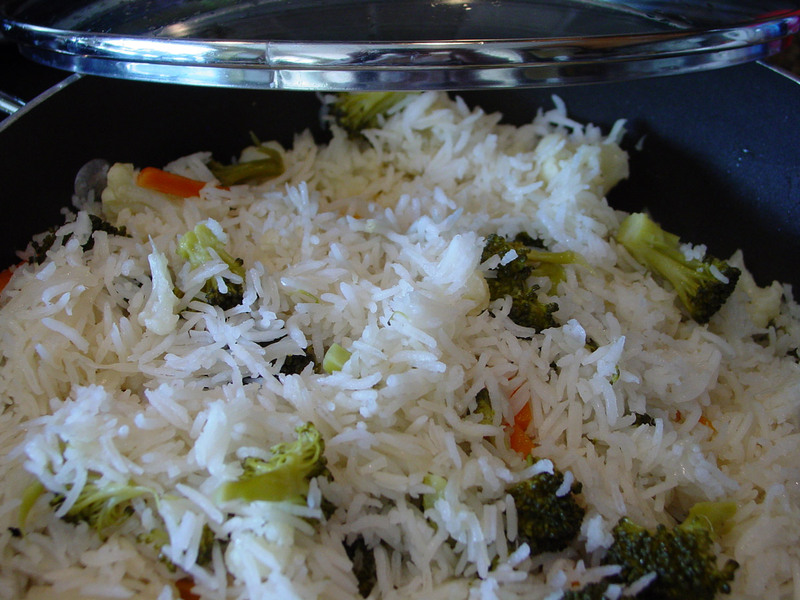 Manisha, thanks for sharing your pulao recipe. I especially appreciated the photo. Gives me a good idea of how my pulao should turn out. I used jasmine rice last time, so not as fluffy as basmati. Piegirl, you're most welcome! Glad to have been of help!